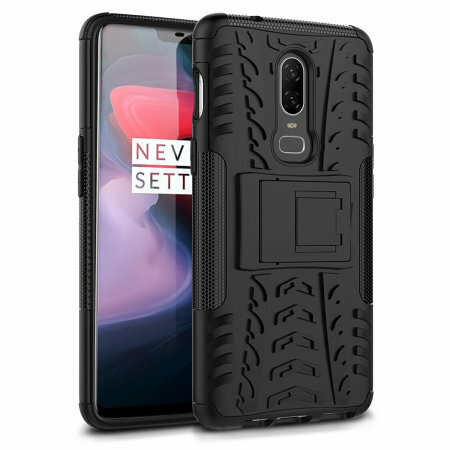 Protect your OnePlus 6 from bumps and scrapes with this black ArmourDillo case from Olixar. Comprised of an inner TPU case and an outer impact-resistant exoskeleton, with a built-in viewing stand. Finally got mine after one month! The case looks and feels good. I really like the snap-on action between the inner TPU layer and the outer polycarbonate layer. I like that the case does add some depth to the phone, which will give lots of protection for the back camera. However, some people may find this case quite bulky if they prefer something more slim. The stand in the back is a good idea, however I fear that it may break quite easily. If that happens, the case will lose half of its value because it will look quite funny with a hole in the middle. So, if I may suggest, the company should come up with a new design which has a cover or something. Finally, the front coverage imo is quite shallow. If you use a tempered glass proctection then it is fine. Otherwise, the screen seems pretty vulnerable with the current design. Perhaps with future designs, the company can raise the four corners a little, which is similar to the defualt case provided by Oneplus. Overally, this is quite a good product you have. Good job! This tough protective case has been designed for those with an active lifestyle. It provides great shock and impact absorption thanks to its lightweight TPU polymer with a precisely positioned hard skeleton for added protection. 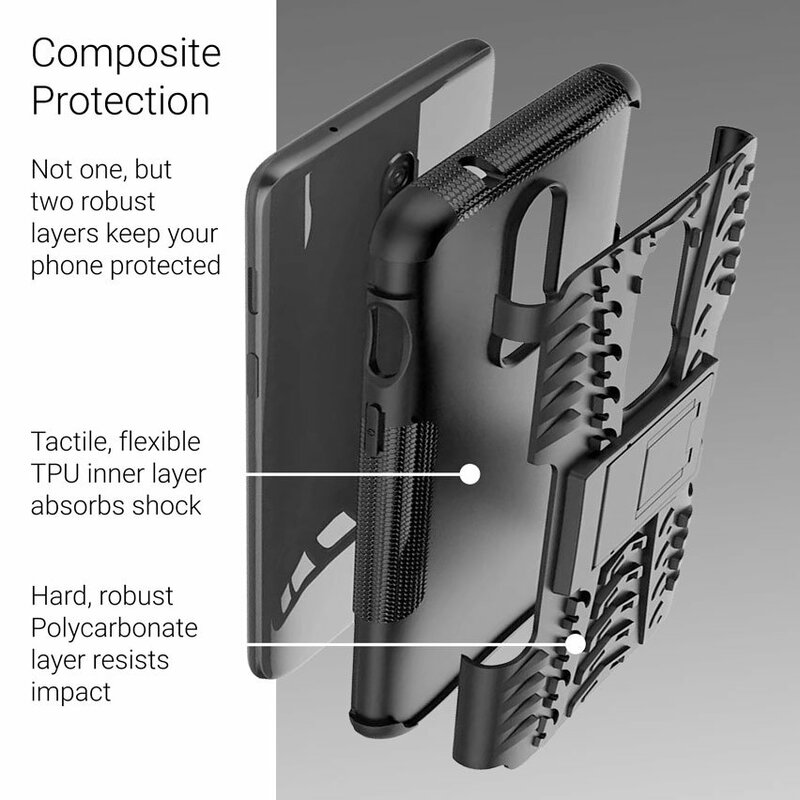 The design of the exoskeleton extends out to protect vulnerable parts of your OnePlus 6, such as the corners and sides. The Olixar ArmourDillo Protective Case features a tough exoskeleton, which covers the back and vulnerable corners of your phone from damage. They are made from an impact-resistant, polycarbonate plastic shell protecting your OnePlus 6 from accidental damage - keeping it looking as good as it did when you bought it. 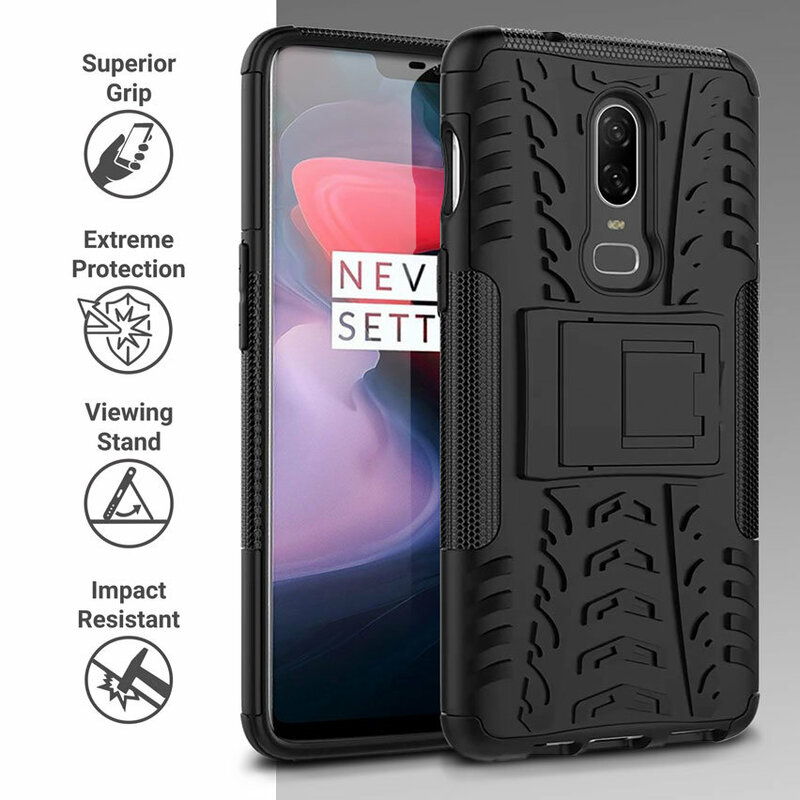 This tough protective case has been designed specifically for the OnePlus 6 and has cut-outs for the main ports and features of the smartphone such as the camera with flash. The power and volume buttons are covered, but remain functional while encased to give unbeatable protection.